What's the difference between Wii and Move? Not much, according to Peter Molyneux. 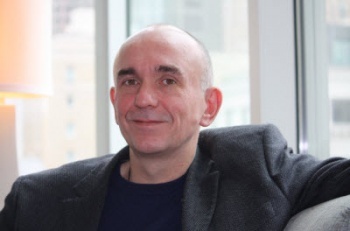 Lionhead boss Peter Molyneux says that there isn't much to tell the Wii and the PlayStation Move apart, and that he feels the technology used is too similar to really do anything new with Move. "I find it hard in my mind to differentiate between the Sony Move and the Wii. They seem very similar in their scope. I know Sony and Nintendo would argue that they are different, but they kind of seem the same. They enable certain sorts of experiences, and they are analogous to Kinect." Molyneux is also quick to try and counter any accusations of bias on his part - he is also the Creative Director for Microsoft Game Studios, Europe - and says that he's just speaking as a game maker: "... this is not me talking as a Microsoft employee, this is me talking as a designer, but I have to take my hat off to Microsoft, because they really did go one step beyond what they needed to do." "It would be very easy for them to have created something like the Wii, but instead they did go that extra mile and they said, 'No, we're going to make that huge step.' I think the real benefits are going to be shown in the next wave of titles that come out."